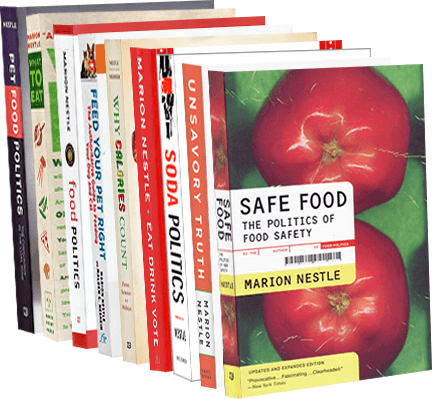 Food Politics by Marion Nestle » Isn’t it about time GM foods got labels? I was fascinated to read Cookson Beecher’s Food Safety News’ analysis of current campaigns to label genetically modified foods (GMOs). It brought back memories of the time I served as an obviously ignored consumer representative on the FDA’s Food Advisory Committee. Back in the early 1990s, the FDA formed this committee to get advice on issues that might be controversial. It asked us for advice about whether to approve GM foods and, if so, whether they should be labeled. We learned later that the FDA was using the committee to give it a heads up on decisions that were already made. The FDA had every intention of approving GMOs (I wrote about this in my book Safe Food: The Politics of Food Safety). Too bad our arguments failed. Eighteen years later, not-labeling has caused no end of problems for the biotech industry. This issue is not going away. The FDA has approved many GM fruits and vegetables but it is impossible to know whether they are offered for sale in supermarkets (as I discussed in Safe Food, Hawaiian papayas are the most likely candidates). But most corn, soybeans, and cotton grown in America are GM. So are sugar beets. Campaigns to require labeling of GM foods are heating up. The “Just Label It!” campaign is collecting signatures. If this is an issue you care about, signing on is easy. Want to lose weight? Eat less.